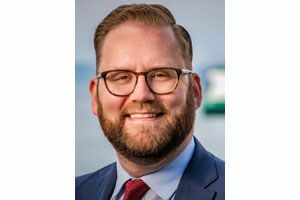 State Sen. Marko Liias, a Democrat who has been in the Legislature since 2008, faces several challengers this year in his bid to retain his seat. Yet voters should return him to the Senate for the 21st Legislative District. Liias recently has worked to ban gay conversion therapy, pass a student loan bill of rights and improve Puget Sound transportation options. The Everett resident leans liberal. But he is not a rubber stamp for all priorities of the left-leaning teacher’s union, such as lowering class sizes in all grades K-12. Rather, he prefers to focus the state’s limited dollars on reducing class sizes in early elementary-school grades and science classes, where research has shown the investment makes the biggest difference. Strengths: Advocacy for transit and transportation package, successful push to ban gay conversion therapy. He is able to negotiate across party lines, as when he worked to help pass a $16 billion transportation package in 2015. Liias took a disappointing vote this year to exempt the state Legislature from the state’s Public Records Act, a bill he now says was too rushed. Yet he has been smart about other issues, including putting forth an unsuccessful plan to provide relief for car-tab increases for Sound Transit 3 without gutting projects. He voted to repeal the death penalty and supports stronger gun-control measures, as well as strategies to combat climate change. Several of his opponents are launching spirited campaigns but haven’t entirely thought through all their policy ideas. Democrat Riaz Khan, an engaged community advocate and Boeing engineer from Mukilteo, proposed building a double-decker freeway on Interstate 405 to solve traffic problems but seemed unaware that tolls were unlikely to cover the sky-high cost. Republican Mario Lotmore, who has worked in the aerospace and manufacturing industries, wants to lower property taxes but isn’t sure where he would find the money to do so. Independent candidate Scott West has impressive experience as a federal law enforcement agent but would benefit from becoming more familiar with statewide issues. Voters should re-elect Liias to the state Senate.